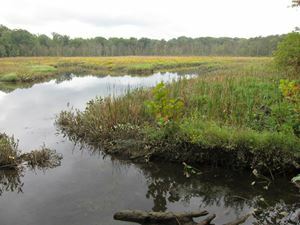 Tidal wetlands at Piscataway Park. 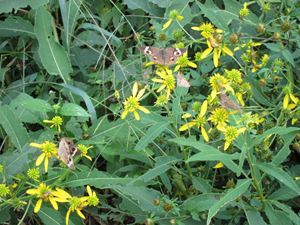 Buckeyes nectaring on swamp beggars tick. 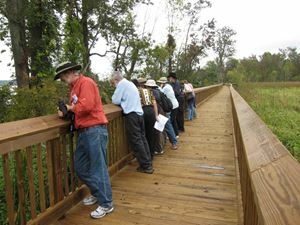 Conference participants enjoy the view of the wetlands from the boardwalk in Piscataway Park. 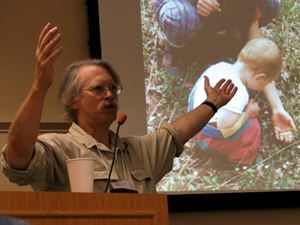 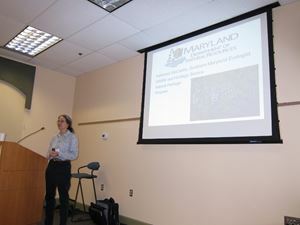 Kathy McCarthey from Maryland DNR presented an overview of the plant communities of Southern Maryland.